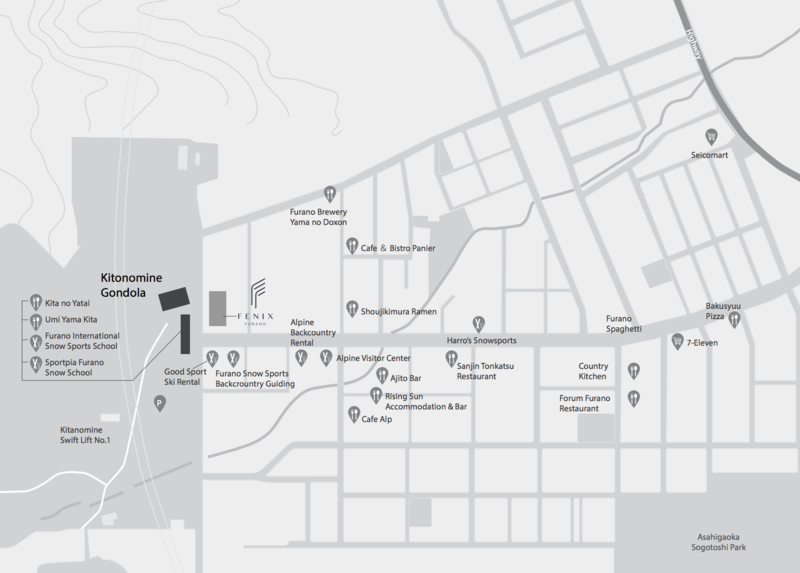 Fenix is directly opposite the Kitanomine Gondola. Kitanomine ski village is next to Furano city and is accessible to hundreds of local restaurants and bars within minutes. The ski village is often compared to Hirafu in Niseko, a cozy neighborhood with luxury chalets, condo apartment hotels and restaurants, yet is relatively less westernized and less developed.